Genomic Control Process explores the biological phenomena around genomic regulatory systems that control and shape animal development processes, and which determine the nature of evolutionary processes that affect body plan. Unifying and simplifying the descriptions of development and evolution by focusing on the causality in these processes, it provides a comprehensive method of considering genomic control across diverse biological processes. 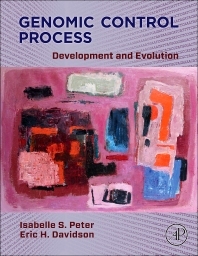 This book is essential for graduate researchers in genomics, systems biology and molecular biology seeking to understand deep biological processes which regulate the structure of animals during development. 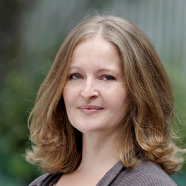 Isabelle S. Peter is Assistant Research Professor and Eric H. Davidson is Norman Chandler Professor of Cell Biology in the Division of Biology and Biological Engineering at the California Institute of Technology, Pasadena, California. Over the last seven years they have co-authored a series of works on experimental, conceptual and computational analyses of developmental gene regulatory networks, including their evolutionary significance. The discussions and conceptual explorations occasioned by this collaboration produced the new synthetic views encompassed in this book, building on decades of earlier work summarized in the 2001 and 2006 Academic Press books by Eric H. Davidson.